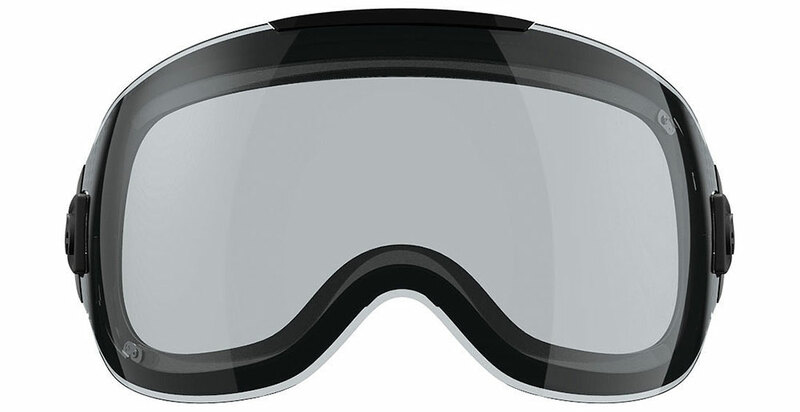 Abom Goggles are all new to the market for winter 2015-16 and are the worlds first goggle to feature Abom Anti Fog Technology that will virtually eliminate the chance of your goggles fogging up & keep your vision clear in any condition your faced with. Abom Goggle goggles feature patented Klair Technology that places an invisible heat conductive film in your lens, with a single press of the button your lens heats and obliterates any possibility of fogging problems. Combined with functional features, technical performance, the finest craftsmanship & next level style the all new Abom Goggles are the future in the now. Go ahead and pick up a pair from Action Sport Optics, you will be rewarded with a premium performance product that will not disappoint! Fit Profile: 2016 Abom Goggles have a recommended fit profile of med-large. 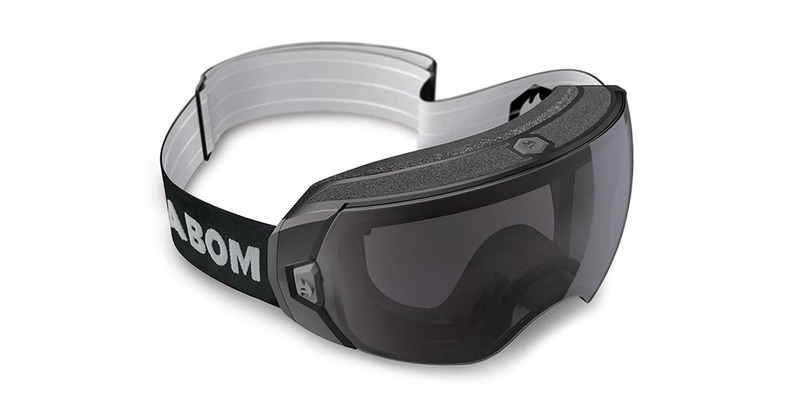 Active Anti Fog Technology: Abom Active Anti Fog technology comes standard with all Abom Goggles and is industry first featuring Klair Technology that 100% eliminates fogging problems with heated lens technology. This battery powered technology places an invisible heat conducive film in the goggle lens & with a single press of the button you can say goodbye to fogging problems once & for all. The battery has a 7 hour charge that sends a constant current into the lens keeping any chance of fog at bay. Frame Information: Abom Goggle frames are made of a flexible & lightweight Elasto Polymer that maintains flexibility even in the coldest of temperatures, this flexibility allows for a customized fit to a variety of face shapes & sizes. The interior of the Abom Anti Fog Goggles have a matte finish that helps reduce glare & the frame profile is helmet compatible with most helmets on the market. Lens Information: 2016 Abom Goggles has teamed up with world renowned Carl Zeiss Optics to deliver the ultimate in lens quality, Carl Zeiss is synonymous with world class optics that deliver the ultimate in clarity & 100% protection from the suns harmful UVA UVB UVC rays. 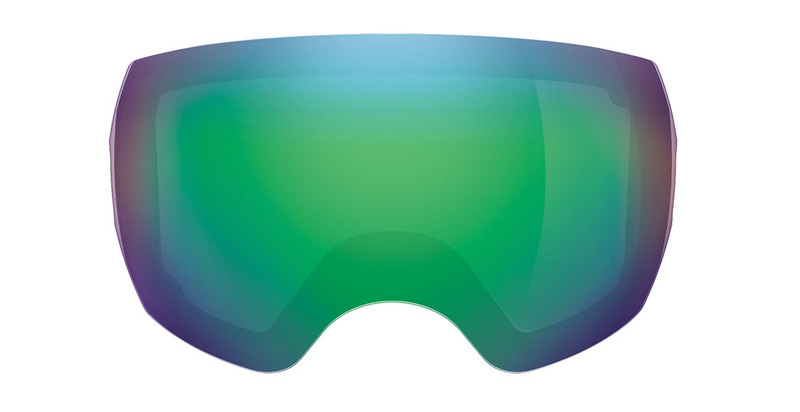 Abom Goggle lenses are a Spherical Polycarbonate that is strong, lightweight & shatter resistant. Coupled with Abom Anti Fog Technology that will literally obliterate any chance of fogging problems & you have the industry leading lens technology. About Abom: Abom is a group of inventors, scientists, and designers on a mission to make the future more fun by delivering world class products to market that enhance the user experience. We're using our superpowers to create world-class gear and solve the problems that get in the way of good times & the all new Abom Goggle collection does just that.